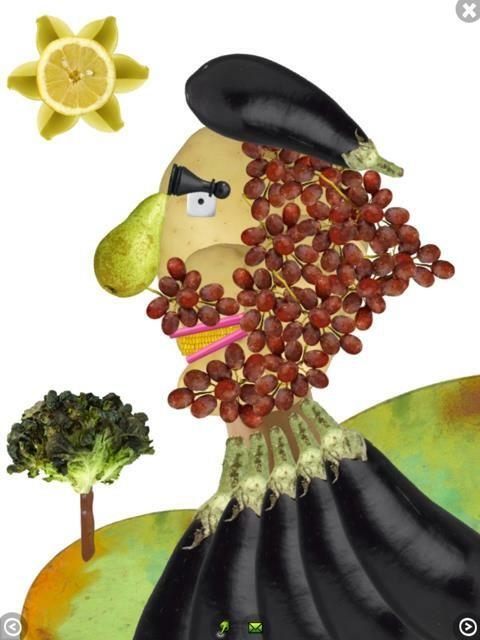 A fanciful and fun tool for creating faces out of everyday objects including food, toys, tools, and more. 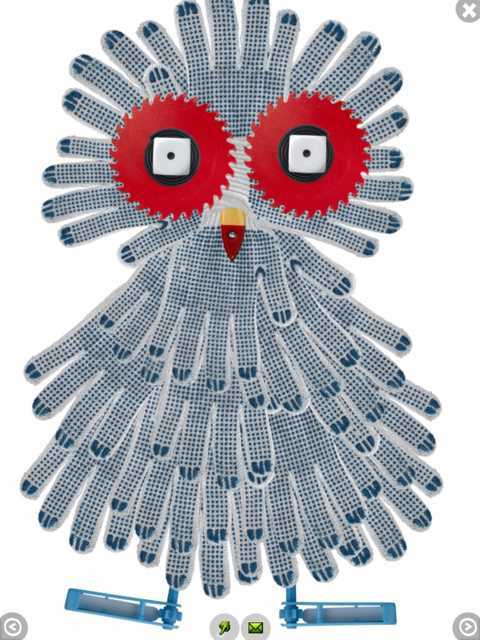 Highly creative way to explore collage art! Don't miss this one. Kids create faces using unusual collage materials, such as candy, toys, fruit, musical instruments, and more to make fanciful art. The app opens to a blank workspace with buttons on the bottom representing the categories of collage materials. Artists start by choosing a face shape and color. Then they tap on a category -- such as toys -- at the bottom of the screen to make a line of toys appear. Kids can scroll through the line and then drag objects into the work area. Hair can be made out of zany things, such as balloons or licorice. It is all up to the collage-maker to try to see everyday things in a new, creative light. The app comes with 5 video lessons and lots of inspirational images to help get the creative juices flowing. The tutorials explain how to use the tools such as making one object hide behind another. When kids finish a creation, they can save it to their camera roll or chose to upload their creations to FaceWorld, a virtual art gallery. They can also download other people's creations, modify them, and then upload them to collaborate with kids from around the world. 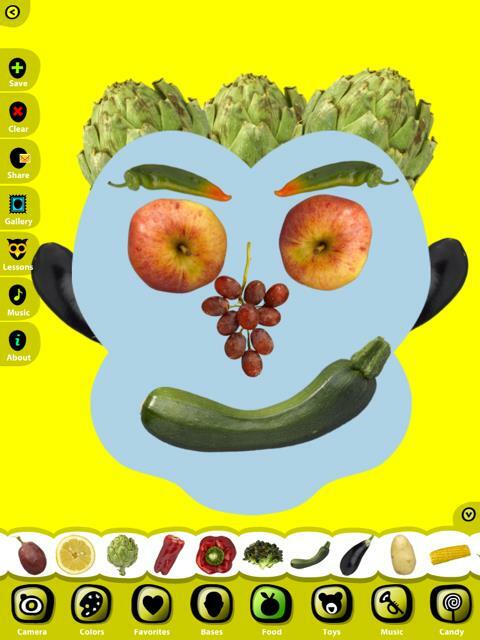 This is one of the most creative apps in iTunes because it encourages kids to make faces using unusual collage materials. It inspires kids to think outside of the box. The ability to share your creations with the world is also well done, since it happens without revealing any personal information. 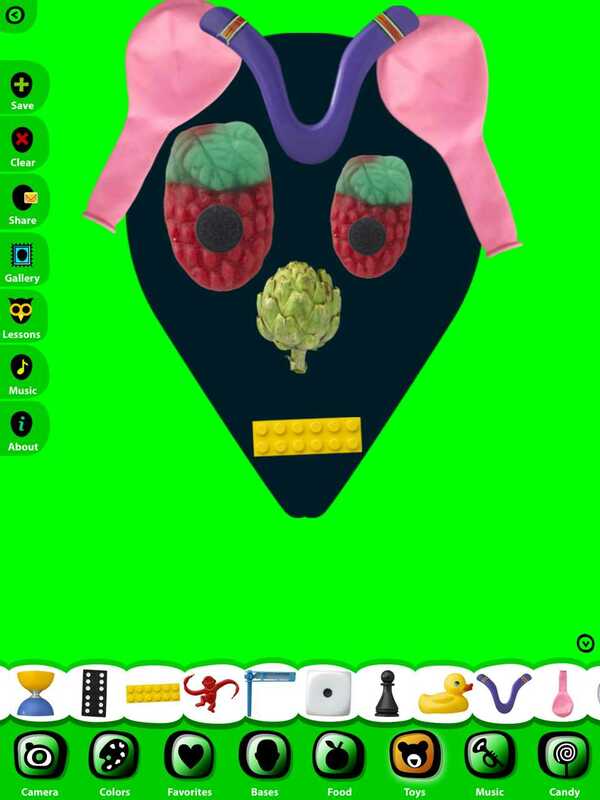 Faces iMake - Right Brain Creativity is a terrific app for a family to explore together. 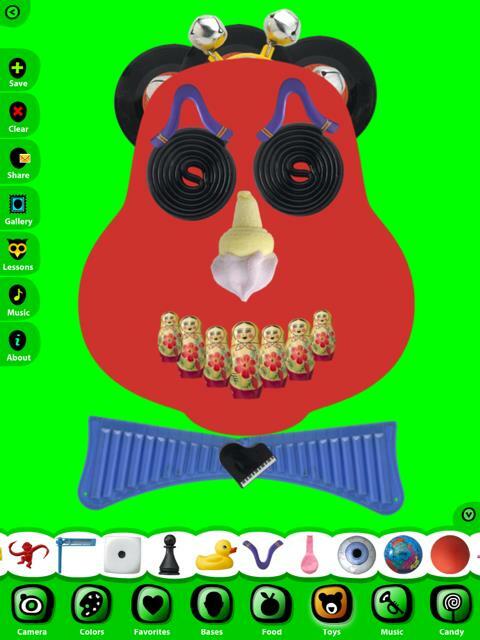 You can use the app to have fun making portraits of each other. Dad's smile looks like a banana? Go for it. Mom has marbles for hair? Just don't say her head is full of them!